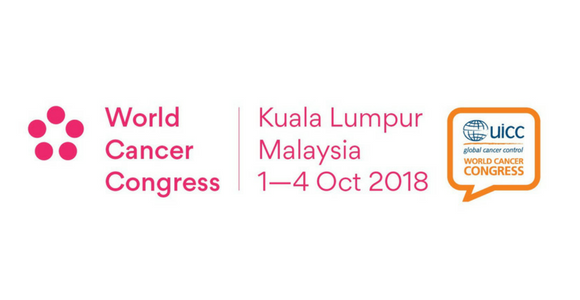 The World Cancer Congress in Kuala Lumpur (1-4 October 2018) will convene a multisectoral community of 3’500 foremost cancer and health experts, political and business leaders, scientists and public figures who share a real passion and engagement to reverse the course of cancer and other NCDs. The event aims to strengthen the action and impact of the cancer community on national, regional and international scales through its educational programme that spans the full spectrum of cancer - from prevention and treatment to palliative and supportive care. There are many accounts of Congress delegates who took advantage of our educational symposium to further their career and personal development. The story of a paediatrician from South East Asia, expert in molecular genetics, who raised US$100,000 for paediatric cancer after putting into practice what he had learnt at a Master Course, is a great example of how a researcher stepped outside his comfort zone to succeed beyond his expectations. This year’s programme includes about 90 multidisciplinary sessions that have been selected for their novel practices in cancer implementation science. Pertinent topics to the South East region such as obesity, tobacco control, HPV vaccination and screening programmes as well as complimentary medicines and economics of cancer care will feature prominently in the agenda. Discover the online programme and start building your own schedule. In addition, capacity building schemes, workshops, discussion cafés, big debates, inspiring plenary speakers and more will also contribute to increase participants’ abilities and skills to empower them to do a better job today.